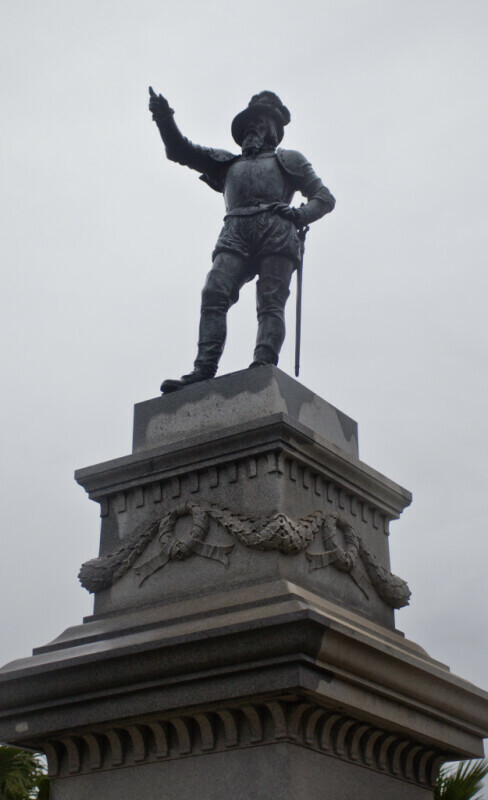 This is a bronze statue of Ponce de Leon. The statue was erected on a granite base. The statue was donated my Dr. Andrew Anderson.